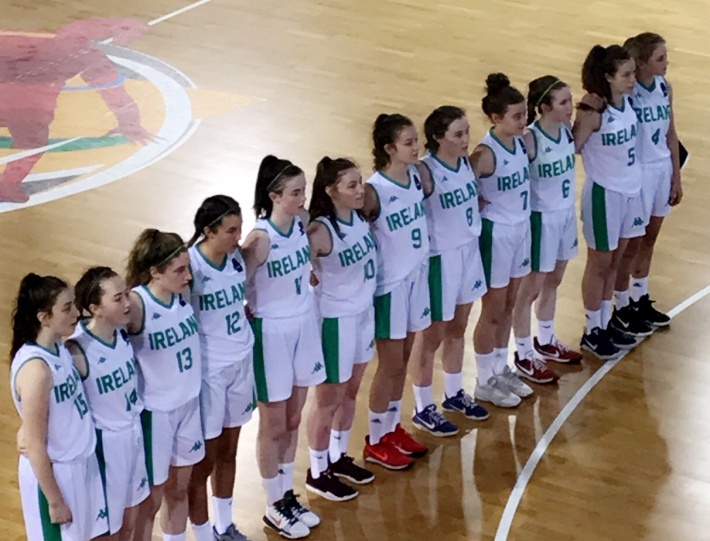 A super first half display just wasn’t enough for the Ireland Under 16 women’s team this morning as they fell to a 46-68 point loss against Ukraine in their final pool game at this year’s FIBA U16 Women’s European Championship Division B in Skopje. In what was truly a game of two halves, Ireland led Ukraine up until the fourth quarter but, after leading by nine points at half time, early foul trouble in the third quarter for the Irish saw Ukraine head to the free-throw line on numerous occasions and by the end of the third, they had closed the gap to just one point. A 2-2-1 defensive press from the Ukrainians in the fourth got the better of the Irish for the first seven minutes of the quarter, and they went on a 27-0 run to put the game beyond reach for the girls in green. Scores from Erin Maguire, Katie Walshe and Katie Williamson with just over two minutes to go until the final buzzer closed the gap somewhat, but the damage had been done and Ukraine ran out 46-68 winners. A bright start from the Irish saw them drive into a 14-2 lead early in the first quarter, with great scores from Walshe, Williamson, Ciara White and Abby Flynn. Ukraine regrouped after a well-timed time out, but only managed to add another four points before the first buzzer sounded, with Ireland going into the second with an 18-6 point cushion. Another fantastic display from the girls in green in the second quarter kept momentum firmly in Irish hands, as White continued to impress while Lauren Darcy hit a huge three with just over three minutes played to stop Ukraine in their tracks as they tried to build a comeback. 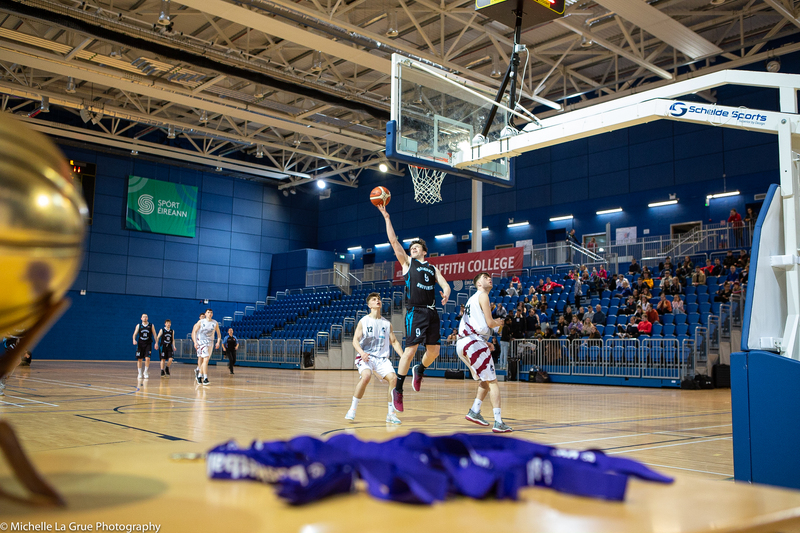 Williamson and Walsh were again on target and pulled down some big rebounds to keep the Ukrainian attack at bay, while strong defence from Anna Lynch, Niamh Kenny, Ciara Bracken and Alex Mulligan saw Ireland continue to dominate at the half, leading 28-19. Slowly but surely though, Ukraine began to claw their way back into the game. Early foul trouble for the Irish in the third saw Ukraine headed to the free throw line and, despite the best efforts of Mia Furlong, Lainey Nolan, Walshe and Williamson on defence throughout, the bonus points began to hit home. With 1.44 on the clock, Ukraine drew level at 36-36, and took the lead a few seconds later. A huge three-pointer from Ciara White right before the buzzer saw Ireland up by one (39-38) going into the last. The fourth quarter was where it really began to unravel for the Irish though, as a 2-2-1 press saw a number of turnovers for the girls in green. Ukraine continued to drive on, stretching out into a 27-0 run before Erin Maguire, who made a huge impression off the bench, bagged Ireland’s first score of the quarter from the free throw line with just under three minutes to go. Scores from Walshe, Williamson and Maguire again closed the gap somewhat, but the damage had already been done and Ukraine ran out 46-68 point winners in the end. Despite the full time score however, Head Coach Andy Gill stated that there are a lot of positives to take from the Irish performance, as three of the four quarters saw the girls lead the way both offensively and defensively. Williamson and Walshe both finished the game on double-doubles (the former with 17 points and 10 rebounds, Walshe with 16 points and 11 rebounds), while Lauren Darcy and Ciara White impressed hugely on offense. “It’s disappointing considering how well we played for three quarters of the game,” he said. “We were up by one point at the end of the third and we had a really good start. They came back at us in the third, and Ciara White hit a great three at the end to go up by one, but we evaporated in the fourth for four or five minutes against a 2-2-1 press. Ireland will now go on to contest a place in the 9-16th classification stages on Thursday afternoon with a likely match-up against either Bulgaria or Estonia from Group A.
IRELAND U16 WOMEN: Abby Flynn (1), Ciara Bracken, Lauren Darcy (3), Erin Maguire (2), Anna Lynch, Ciara White (7), Niamh Kenny, Mia Furlong, Lainey Nolan, Katie Walshe (16), Alex Mulligan, Katie Williamson (17).